Started Off As a Ymca, the 1960'S Building Has Been Meticulously Renovated To Give That Perfect Blend of Old Charm and Elegance With Today'S Convenience and Design Simplicity. From the High Ceilings and Modern Furnishings of the Lobby To the Elegance and Serenity of the Restaurant On the Top Floor, There is No Detail Left Untouched. All Converge Exquisitely To Transport Each Guest. 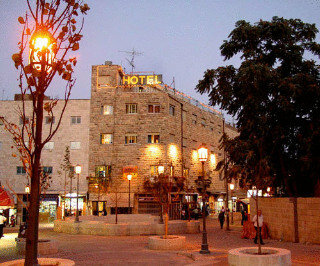 Moreover, the Breathtaking Panoramic Views of Jerusalem, Afford Guests a Chance To Survey the Many Splendors the City Has To Offer.|||||We Aspire To Give the Highest Quality of Food, Service, and Accommodation. Whether you Are a Business or Leisure Traveler - The Distinguished Staff of the Legacy Hotel Are Dedicated To Make Your Stay an Enjoyable One.